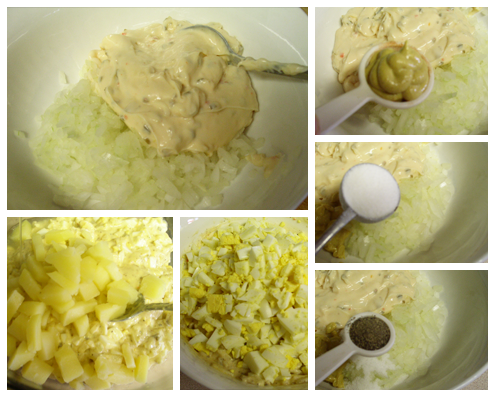 Some years ago I had my friend Diane over for a BBQ and I had made the Dutch potato salad. Diane mentioned to me that my potato salad taste a lot like her Mom’s. 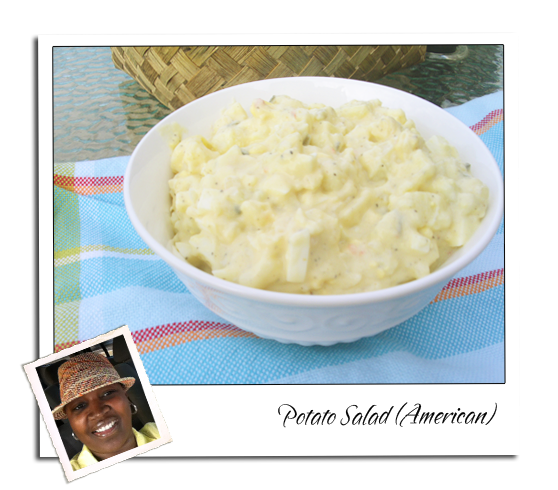 The difference between hers and the Dutch potato salad is that we have meat in the potato salad ;). I asked Diane to share her Moms recipe with me. 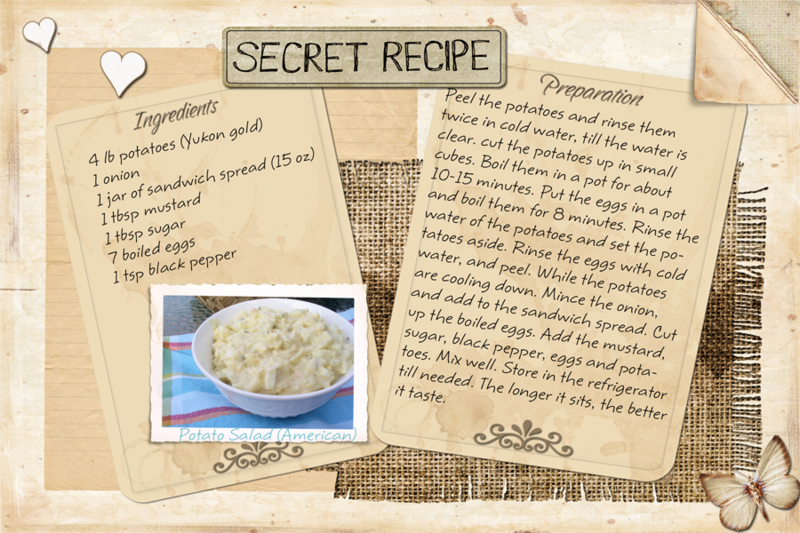 The secret ingredient to her potato salad is sandwich spread, who would have thought. She was telling me “why do all the work when you can find it all in one jar”? And now I am sharing her recipe with you. Take this recipe to a potluck and I promise you, people will ask for this recipe. Peel the potatoes and rinse them twice in cold water, till the water is clear. cut the potatoes up in small cubes. Boil them in a pot for about 10-15 minutes. Put the eggs in a pot and boil them for 8 minutes. Rinse the water of the potatoes and set the potatoes aside. Rinse the eggs with cold water, and peel. While the potatoes are cooling down. Mince the onion, and add to the sandwich spread. 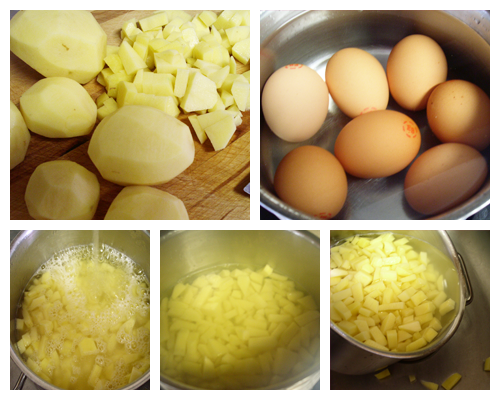 Cut up the boiled eggs. Add the mustard, sugar, black pepper, eggs and potatoes. Mix well. Store in the refrigerator till needed. The longer it sits, the better it taste.